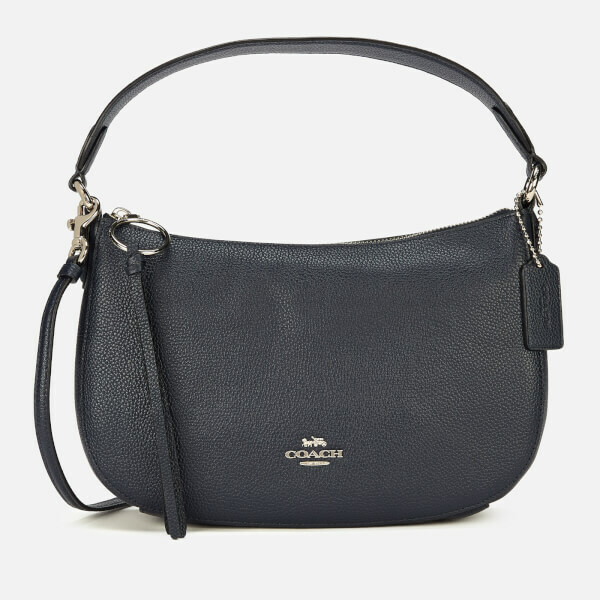 Navy blue ‘Sutton’ cross body bag from American design house of modern luxury accessories, Coach. 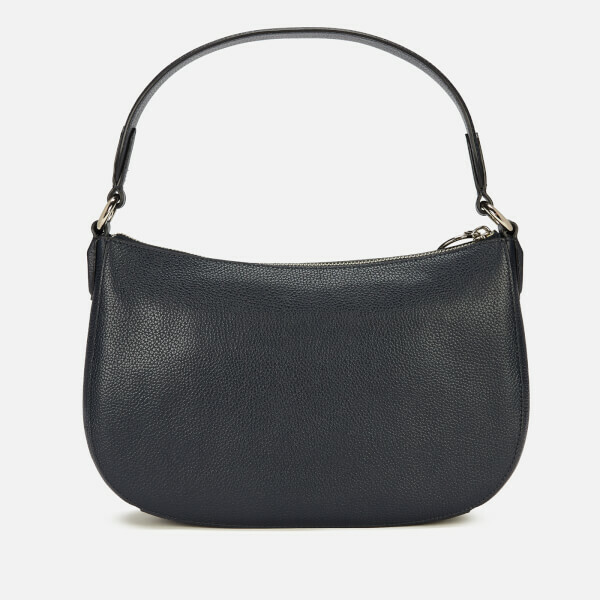 Made from a supple pebbled leather, that handbag forms a minimalist, hobo-inspired silhouette with a top grab handle and detachable shoulder strap for versatile wear. 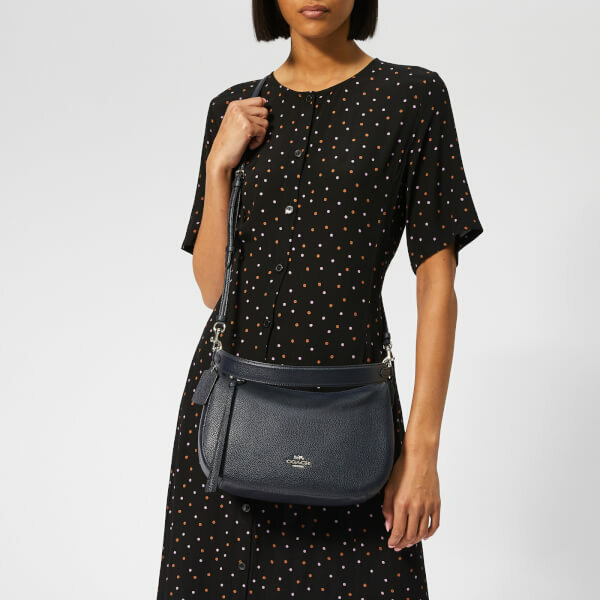 The zip-top closure opens to reveal a spacious, fully lined main compartment with a zipped pocket and signature authentication badge. 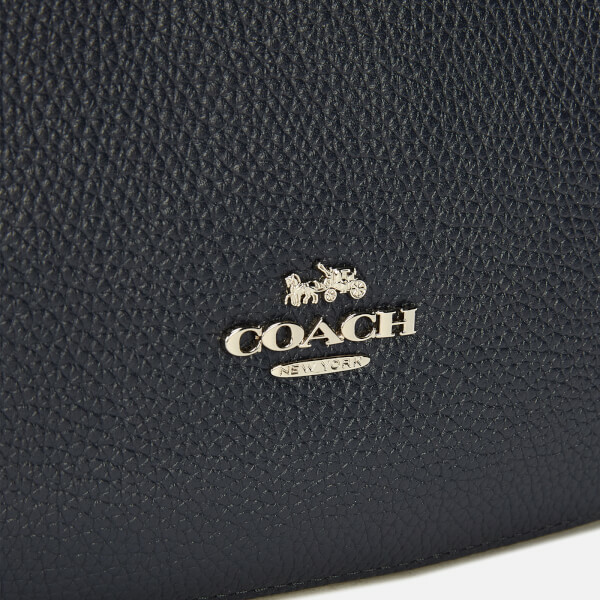 Accentuated with silver-toned hardware throughout, including the label’s iconic logo plaque to the front. 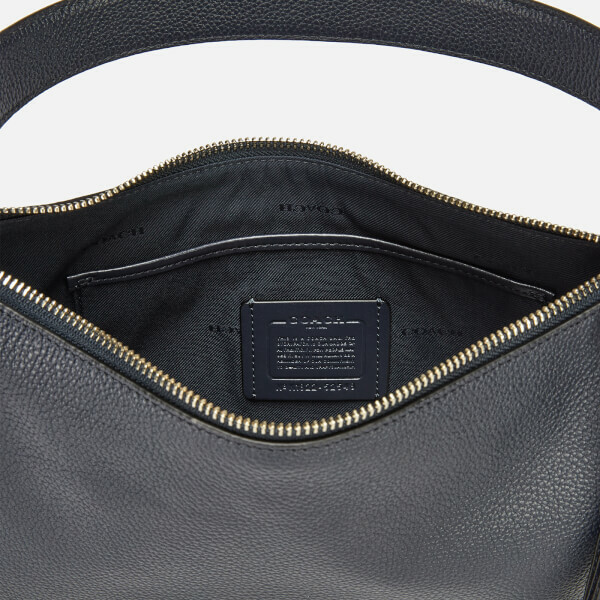 Finished with a tonal debossed luggage tag and tassel-embellished zip pull. Dimensions: H: 19cm x W: 28.5cm x D: 7.5cm. Handle Drop: 19cm.